Alex is the Senior Programs Assistant at the Foundation. In this role, he is responsible for managing the Foundation’s scholarships and processing the intake of grants, vendor payments, and transfers. 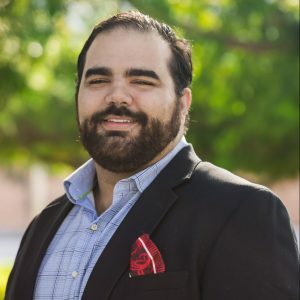 Prior to joining the Foundation in 2016, he served with AmeriCorps for two years and worked as a student organizer at Florida International University in the Florida Student Union. Most recently, he was the Programs Coordinator for Rebuilding Together Miami-Dade, a local nonprofit that provides free and critical home repairs for low-income homeowners. He also served as an AmeriCorps project coordinator with South Florida Interfaith Worker Justice. Alex earned a bachelor of arts degree in political science from Florida International University in 2011.